Well, clothing can protect you, especially a wide-brimmed hat and big sunglasses. Have your come-out a gangster! As far as sunscreens are concerned, try to avoid chemical sunscreens. Potentially harmful chemicals such as dioxybenzone and oxybenzone have been proven to be some very powerful free radical generators. The funny thing is that those products claim to protect you against free radicals caused by sun exposure! Prefer a zinc-oxide-based non-nano sunscreen instead! Titanium dioxide (no nanoparticles!) is not THAT good, but in smaller amounts it should be okay. One always has to compromise. At least it’s a lot better than those chemicals! To me “DeVita Daily Solar Protective Sunscreen SPF 30” (only zinc-oxide) and “Kimberly Sayer Ultra Light Moisturizer SPF 30” (zinc oxide and titanium dioxide) seem to be the most “convincing” products so far for acne-prone skin. Light-weight, not pore-clogging, silicone-free, no white mask effect. In addition, zinc oxide has a certain healing effect (think of zinc oxide ointments for babies)! Thank you so much! And yes, I read that the chemicals in sunscreen are not something we want to put on our skin so now I am totally convinced I don’t want that. my face have a lot of black ache especially at head and nose that causes by pimples! some more sometimes at my nose there is oily? can i know what i suppose i have to do? tq. So many sunscreens bother me. I have luck with tinted moisturizer, SPF 15. It’s not much protection though, so hats and sunglasses should be worn. These are all great natural methods, but my skin has tremendously improved doing the caveman regime. It is icky the first month but after that I have been washing my face like once a week, leaving all that yummy sweat fromt the gym on my skin (so good for healing acne, it’s literally a layer of goodness protecting and nourishing the skin). The results are pretty amazing. I’m sure once my acne is all the way gone, I will wash more often, like every three days (by just splashing some water). But for now, as my skin is healing, I need a protective barrier on it! My skin is very subtle and not dry at all which I’ve suffered from in the past. I was once a twice a day skin washer and it just isn’t necessary or good for you skin! Like our parents always said, less is more. I totally agree with you. If your skin is totally out of order, the caveman regimen is probably the best thing you can do! I’m glad it worked out that well for you! My father used to say too much showering washes the protective layer (of oil, i guess) from your skin. He was right. I still shower daily but have weaned my face from soap and water. I’ve started to put a layer of oil on my face prior to a shower and what a difference. It must protect from the hot water. My daughter said my skin looked great. She compliments me a lot, but she’s not said that before. I have very dry skin. Or, had. In the morning, instead of washing with water, I use a dallop of pure aloe Vera gel, instead. No need to dry, just let it soak in. I’ve tried the actual plant, which is great for burns, but for some reason irritates me when i try it in place of lotion. Great list! 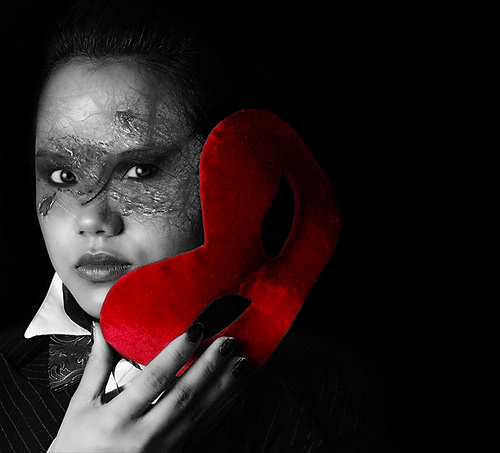 Do you know why clay masks shouldn’t be left to dry on the face? I am so glad I stopped using commercial cleansers on my face. I used to have oily skin, but not anymore! I attribute this to ditching my salicylic acid cleanser and switching to manuka honey 1-2 times daily. At night, I also use jojoba/lavender oil and aloe vera gel (Lily of the Desert brand). Yours is a good question! You certainly know that clays have a drawing action. While clays are drawing impurities to the surface of your skin holding the toxins in the clay, they are also absorbing some moisture from your skin cells. That’s why letting a clay mask dry on your face might just dry out your skin a little too much and may cause irritation, especially if you have sensitive skin. Clay masks work even without letting them dry! It’s simply cool physics that is happening. If you mix some clay with yogurt (and maybe a few drops of oil), you most probably won’t find it drying at all, but also quite moisturizing! However, it’s great that you managed to stop using your salicylic acid cleanser! It probably dried out your skin a lot. As a reaction, your skin just tried to defend itself by overproducing sebum. To me, your new routine sounds fab! I love oatmeal as a daily cleanser/very gentle exfoiliator. It’s easy, cheap, gentle but unfortunately kinda messy. I remove my make-up with Dr. Hauschka cleansing milk and a cotton pad, wash the remains off with water and then apply the oatmeal (soaked in water til it’s soft and creamy, like in the youtube videos) very gentle and careful. After rinsing it off I put manuka honey on my face for at least half an hour up to 2 hours. In the morning I just spray my skin with Avène thermal spring water instead of tap water and pat it dry. Works for me! PS: My problem isn’t cystic or really inflamed acne but more like congested skin, a few small pimples and lots of comedones (I guess I have comedonal acne). While this mild daily exfoilation helps me, I guess with more severe acne it wouldn’t be the best idea to use oatmeal everyday?! Gosh! I forgot about oatmeal! That’s a great point, Stella! Thanks a lot! It’s another awesome method to cleanse your face! Did you ever try to mix that oatmeal mash with manuka honey (to speed up your cleansing routine every once in a while)? If you have severe acne, I’d suggest the same thing Ali just suggested: the caveman regimen. And if you simply cannot do without makeup because you’re a girl and want to feel pretty, or you spent the whole day at the beach and had to use sunscreen, I’d suggest to use manuka honey as a cleanser because of its antibacterial properties – maybe mixed with a quality jojoba oil or an oil rich in linoleic acid like evening primrose oil, hemp oil or grape seed oil. There are a few studies that confirm that linoleic acid is an effective anti-comedogenic agent! These are great! Can you tell me more about using orris root powder? I ordered some from the pharmacy but I’m not sure how to use it? Also, how do you use ghassoul as a hair wash? I’ve been doing the no-poo thing and using baking soda and ACV. I’ve had to wash it every night because I find the “natural oils” don’t help my acne at all. But anyways, BC and ACV have made my scalp itchy and I don’t like it. So how do you use it? Great article!! I’m totally going to read your blog, Svea!! Thanks! As a cleanser, orris root powder gently removes dead skin cells and can help to prevent blemishes (it has anti-inflammatory properties). Mix some orris root powder with water to make a paste (or yogurt, aloe vera gel, organic floral waters, … – or champagne, if you desire!). Apply to your face, leave for 10 minutes, then rinse. It is very mild, but can be SLIGHTLY abrasive (that’s why I wouldn’t recommend to use it as a face scrub!). Apply it just like a mask, and it will leave your skin silky soft and smooth (hopefully!). 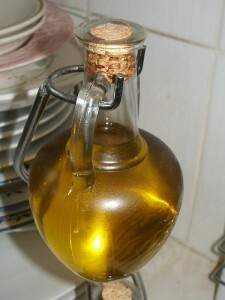 The ghassoul-hair-wash is similar: Mix some clay with warm water (and a few drops of oil if desired) to make a paste. Apply to your hair. Leave for 10 minutes (don’t let it dry!) and avoid to massage it in (you won’t want to stress your hair!). Rinse well! I use only water to wash my face, the majority of the time. Very rarely do I wear make-up and when I do, it is only then that I’ll use fragrance-free Dove soap to cleanse my face. I have far fewer breakouts and much less irritation than I did when I used prescription acne medication and used Cetaphil to wash my face. I used to use Cetaphil along with acne medication, up until I experimented with the water-only face wash method. I haven’t look back since (as corny as that sounds). My skin is super sensitive and reactive. I’ve found the best complexion enhancer to be healthy food. Fruits and vegetables (esp. green smoothies, or just greens in general) are of great benefit. Also, whenever I breakout, I let the pimple do its thing. I leave it alone, and it eventually heals and fades away. Yes, it’s true, less is more! Not only using less skincare items (which means confronting your skin with far less toxins), but also caring less about it all in general! And yes, a healthy diet works wonders! PLUS regular exercise! 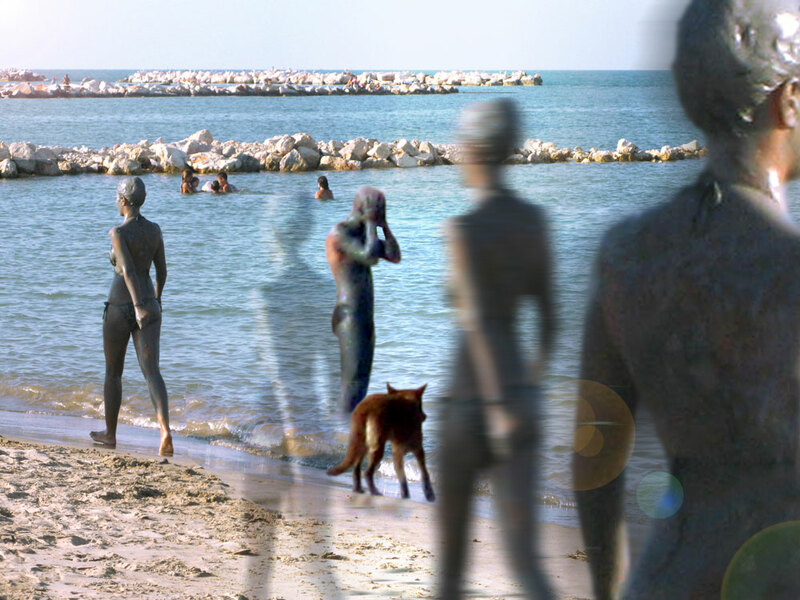 However, I wouldn’t generally recommend soap: If you have very limy water (like me over here in Italy), it could aggravate your skin condition by forming soap scum on your skin (the substance which results from the reaction of the hardness minerals in water with common household soaps – also evident as a bathtub ring!). But you’re not using it that often anyway – and it seems to work for you! That’s all that counts! On the dove soap thing: You can use Aloe Vera as a toner to remove the residue. Just another note, Dove is not soap. It’s a Syndet bar. More people use Dove Sensitive in the world than any other facial cleanser. I use Dove sensitive also. Also, the only dish soap I can handle is Palmolive original. I know you’re supposed to wear gloves for washing dishes but that doesn’t always happen. Wonderful! You mention clay! Just a week ago I ordered samples of green, red, pink, yellow and ghassoul. The first one I tried was the pink one, it felt great and gentle, only my face was dyed pink afterwards and even after excessive washing with water my towel got stained pink..I used the ghassoul for my hair last time I washed it and finished with ACV rinse, it worked great. I’ve been doing no-poo for 5 weeks now, first tried baking soda, then egg, then conditioner only with lemon juice, then kaolin, but nothing really worked so great, especially baking soda was way too drying. this ghassoul I got now is wonderful and very fine and made my hair shiny! Thanks a lot for sharing your experiences with us, eva! I’m sorry that your towel looks like a birthday cake right now, but everything else sounds really great! I like ghassoul as a hair cleanser too! It’s actually my favorite one! Note about Lecithin (specifically soy lecithin): Lecithin is kind of a ubiquitous compound which can be found in both animals and plants. Although I don’t recommend anyone eat soy products, lecithin from soy or canola or whatever isn’t much different than lecithin from animal fats and so I don’t worry when a food has a “soy lecithin” or any type of lecithin as an ingredient. 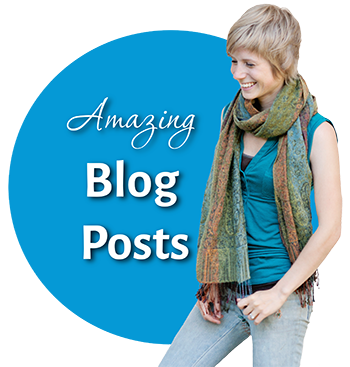 Hii…useful post!! I have a question… Ive been lately using this soap which has oils like frankiencence, hemp, etc. It had black tea and charcoal as well.I think the charcoal makes my skin a bit dry but it cleans the pores. Is it a good think to continue this soap? Hi Anu, can you post the full ingredient list? Thanks for sharing this Svea. My skin was getting worse when I was using tons of products on my face, then when I simplified it things started to massively improve. I have now called me new routine the”K.I.S.S. ROUTINE” keep it simple stupid routine. While I do test many products to help people make a decision on what is the best, my main skin care routine now only consists of a few key products. The products are honey, green clay and Argan oil. I am definitely going to be trying a few of your suggestions above, especially the Chickpea Flour as my skin is getting a bit oily these days. Just checked out your blog also and it really good. Can’t wait to see what else you have to share. Wow, “K.I.S.S. ROUTINE”! That sounds great! However, I’d rather translate it in “keep it simple superlunary routine” or something like that. Why “stupid”? It’s cool! My regimen is quite similar at the moment: green clay + yogurt for cleansing, two drops of rosehip oil for moisturizing (if necessary). That’s all. And thanks you so much for your compliments! I’m kind of honored, especially because you have some great information to share as well! The stupid is just the end of the quote. I never made up the K.I.S.S quote. I just thought it sounded good for the name of my current routine. You are right though I may change the last word. Wow your routine is almost exactly the same as mine ha. Never used yogurt, what kind of yogurt do you use? It’s fine thanks for the compliment back. I do try to share things that will help people. Did you see the challenge I will be starting soon? More on the KISS principle. Sorry forget to add it in. Interesting! Didn’t know it was a quote actually. I didn’t even know who Kelly Johnson was. So I learned something new! How cool is that? By the way, I’m using organic full fat yoghurt. And yes, I’ve seen the challenge! I’ll definitely follow how it’ll work out for you (and the others)! that’s difficult to say – everyone’s skin is so different! Try RAW honey or clay as a cleanser. 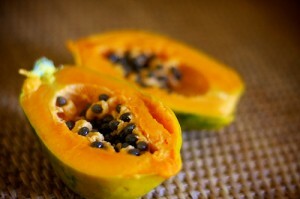 Both substances can help to draw toxins and impurities to the surface of your skin. In addition, raw honey contains enzymes that will help to remove dead skin cells, clear pores and resolve excess oil. Try to leave the honey on your skin for at least half an hour. If you are using urea, add a few DROPS of apple cider vinegar to the mixture. Shake well and store in your fridge. Use within 10 days. As an alternative, look out for a high quality organic and cold pressed (or CO2 extracted) oil that is rich in linoleic acid (hemp oil, grape seed oil, rosehip oil, evening primrose oil, borage seed oil, …) and use it as a moisturizer: There are a few studies that confirm that linoleic acid is an effective anti-comedogenic agent! However, avoid these oils before sun exposure. These oils are not very resistant to sunlight and can contribute to hyper-pigmentation! That’s all. Just keep in mind that it may take a while before you really notice your skin seeming smoother. Try to stick to the same regimen for at least 4-6 weeks in order to see if it works for you. I hope I could help you a little bit! Your aloe vera gel doesn’t contain any film building agents (these are usually glycerin, mineral oils, petroleum derivates, silicones, many emulsifiers, etc.). But it contains – apart from all those chemical preservatives – a thickening agent, which can clog your pores. Depending on how long you’ve been using this gel, it might be one of the reasons, why you (still) have these little bumps on your forehead. You could try a different brand. Aubrey Organics has a pretty good one, for example: no chemical preservatives, no gunk. It’s pricier though and has a quite runny texture. But you can still have a look out to find some other good brands – or buy an aloe vera plant! You can also add a pinch of urea to 30 ml (1oz) of your aloe vera gel (approx. 3% / the amount of 1 knife point). Oils can actually be pretty helpful to “combat” oily skin: oil dissolves oil. Apply only 1-3 drops of it to damp skin – or wash off the excess oil, patting your skin with a towel afterwards. You’ll see that it’ll be absorbed completely. Hemp oil, grape seed oil, evening primrose oil or borage seed oil should be great for oily skin. So, that’s the theory! You still may have to experiment and see what works for you! Make sure not to try too many things at the same time to avoid your skin to freak out. Why dont we let the clay dry out before washing it off? I recently got the Aztec Secret: Indian healing mask, i’ve read some pretty good reviews on it so looking forward to it. Have u ever tried it out? I’ve never tried this “Aztec Secret – Indian healing mask”, but it’s nothing else than pure calcium bentonite clay (= green clay). Green clay is stuff I’m using regularly, and for me it works great, especially mixed with yogurt: that way it‘s much more moisturizing! I have to concur on Aztec Secret (calcium bentonite clay) being amazing. thanks a lot for sharing your insights on your clay experiment! It was fun to read! I also hope that the caveman will work out for you. Lots of good luck! Just stumbled across your website and like many others have found it to be a great source of information, inspration and comfort. I am currently trying to ditch my traditional cleansers in favor of something more natural and gentle for my irritated oily acne skin! I tried manuka honey and had a terrible reaction (boils all over my face), after some searching alternate solutions , I’ve begun to use plain organic yogurt and oatmeal to wash my face with…. So far so good!! You mention yogurt to consume internally, but wondering if you’ve tried or what your thoughts are on using yogurt and or oatmeal externally. i have really dry and sensitive skin (even rosewater makes my face angry!) but I also wear mineral sunscreen and mineral makeup daily. It’s been kinda tough finding a cleanser that my skin tolerates but also removes my sunscreen/makeup well. I’m still looking for a toner that my face can tolerate also but will search your site for ideas….I have bentonite clay and will try mixing in honey and avocado oil as a cleanser…hopefully it works! you could try to add a drop of essential mint oil to that clay stuff in the morning. Or you could mix a few drops of it into some floral water or aloe vera gel to spray on / apply after cleansing. Hey Tracy! I wanted to ask you, what is the best way to start a new skin care routine.. Without having the skin freak out the moment you use the new skin care product the first time? I bought some stuff from Fran’s web shop and to be honest.. I am expecting to break out a bit (the cavemen regimen isn’t really doing it’s trick for me to be honest.. ;() And I was wondering if there was a way I could.. ”minimize” the chances of a breakout to happen? there won’t be any guarantee that you won’t break out at all, but usually the best idea is starting slowly with new products. Our skin simply doesn’t like radical changes. So please don’t start with all the products you ordered all at once. That’ll make your skin freak out for sure. Introduce only one product at a time and use it for two weeks to let your skin get used to it, then introduce the next one for the next two weeks, and so on. Do you know some wbesites where I can purchase the clays? Actually I do live in Europe. 🙂 And I don’t mind ordering from another continent. I did that once from Austrlia.. And America haha! But I found a company that seems to sell organic products. It’s called Raw Gaia. You have to speak German though – in order to understand what you’re ordering 😀 . Anyway, I’m sure there are lots of similar shops in many other countries as well!!! I simply never bothered to do some research about that. Hmm.. I have a fairly high income. It shouldn’t be a problem. 🙂 But I like the fact that their clays/face masks contain a lot of antioxidants. On Seppo Pussa’s website, he talked about the benefits of Skin care products with antioxidants. I actually can’t wait to use the chocolate face masks, I don’t really worry on the suntanned or sun-stained face, My skin is slightly darker than fair-skinned people, but I’m still white in color haha. But I look pretty pale so if the chocolate masks can bring some colour.. Then I got no problem with that! Great!!! 😀 Enjoy your face packs!! Now they’re sending me the Green clay and chocolate face masks for free to me + I get 15% off on my next order haha! Awesome! I just turned 47 and have never had skin or acne problems but just recently my forehead has started to get little bumps filled with liquid (just my forehead-nowhere else on my body). I have not changed anything in my lifestyle so I don’t have anything to contribute it to. Firstly, which method do think would be best for me and secondly, I tried hydrogen peroxide and all that did was give me a headache so I don’t know what to do. I would greatly appreciate your help! I’m sorry to hear that. Did you ever check if it is really acne? I think it sounds a little more like eczema or an allergic reaction. A food sensitivity maybe? I know, you said you didn’t change anything in your lifestyle, but some kinds of sensitivities just show up later in life, apparently without any logical reason. Thank you so much for your reply. Your answer along with the Chinese face mapping article you sent helped me more than any of the other research I have done. Thank you again. I greatly appreciate your help! If you have any questions, just feel free to ask me again. I’ll be always glad to help you out! I’m sorry, but I’ve never heard of this brand before. Which product do you want to know about? And how’s the ingredients list, exactly? I need ur help. My age is 27 yrs old male and my kitchen wardrobe has these items always (apple,banana,yogurt,lemon,honey).My skin is bit oily and have some pits from acne on cheeks. Can u suggest me two facial fruit packs? One in Morning and one in evening. I want to apply honey and lemon pack in morning for 30 min. In the Evening, i would blend apple,banana,honey,yogurt and apply on face for 30 min. Need ur input on this regime? Is it ok to follow this regime daily? If not,please share ur thoughts.Im confused with so many method and Im in search of a one pack. great article! thanks so much for sharing these tips. i am 17 and i’m currently struggling with all types of skin problems. i have dry skin but i also have acne prone skin. i rarely get pimples, but i seem to always have TONS of small blackheads on my nose. there are too many to count and they are deeply embedded and seem to just always be stuck there. so frustrating. i also have pretty sensitive skin, so store bought products don’t do me much good. i have tried the oil cleansing method, but my skin didn’t like it so much. i probably would need to spend more time getting the ratios right, but it just seems quite tedious. i am about to start taking a multivitamin made for teenage girls to help with hormones and i really believe that will help. other than that do you have any ideas of an all natural cleansing routine that might help? hoping this is just a phase and that my skin will clear up soon! Maybe this method does the trick for you? Another idea: A mask made of honey and borage seed oil (equal parts) might be helpful as well. Keep on for 20-30 minutes, then rinse and pat dry. I’m sorry, I saw your comment only now. I don’t know why, but some email notifications just arrive in my spam folder. I should check it more often. I personally do not like the oil cleansing method. It can be kind of harsh for sensitive skin types. Not the oil itself is the problem, but the hot water to remove it. Then, massaging your skin every day is pure stress for your skin and might even help to spread bacteria from existing pimples. Instead, you could try the “magic mitt” (a microfibre cloth that is super gentle) for removing makeup. I swear, no oils needed!!! thank you for your reply! no worries about the delay. i have tried putting egg whites on my nose and leaving them on for a bit, but have not tried the nose strip technique. i will definitely give it a shot. thanks again for your help. and apply just a few drops of oil to your damp skin afterwards (or nothing). You could try jojoba oil in the beginning since it does not feel sticky and absorbs quickly. Choose a mild regimen that appeals to you most (be intuitive!!!) and stick with it. Moreover, try to treat your skin holistically. Eat a clean diet. EXERCISE!!! Get enough sleep. Where can I find green clay? That depends a lot on where you live. If you live in the US, you can buy it from Mountain Rose Herbs. If not, try to google it, and I’m sure there’ll pop up some online shops. Ok thanks! Also, my face skin is very strange because as soon as I get out of the shower, even without using face products, my face gets really dry. Thankfully after about an hour the dryness subsides. Yet at the end of the day, my face is super oily. It doesn’t quite make sense to me how I can start off overdried, and end up super oily. Seems like I have two different problems here. What would be your recommendation? try to tackle down water temperature as much as you can. It might even be better not to wash your face while showering and wash it separately with lukewarm water (preferably more on the cooler side). Did you ever check your water quality? If it’s very limy, try to wash with filtered water instead. In addition, I think that your skin is lacking straight moisture. That‘s why it‘s dry after washing and gets oily later during the day. Your skin is trying to protect itself against water evaporating from it. Do you use products containing emulsifiers? Try to stop them. Every time you wash your face you will wash out moisture and sebum that have emulsified with the product you applied. Over the time, this washing-out-effect will get worse and worse, your face will get dryer and dryer after washing and oilier during the day. Personally, I‘d also avoid green clay. It‘ll be too drying for you. Have you ever tried oatmeal for cleansing? That‘s super gentle. No I have not tried oatmeal but I definitely will! Also after reading more, the raw honey route sounds very simple and appealing. If I were to apply honey, would I do it every day for a few minutes? Or every day for 30 minutes? Or once a week for 30 minutes? Every day for a few minutes should be enough for regular cleansing. Sure, you can apply it once or twice a week for 30 minutes as an extra treat: it’ll act like a very gentle enzymatic peeling that will make your skin soft and supple. So I want to try the Lemon, honey and cinnamon mixture. How much of each do I need? And do I just mix it all together at once? I used the OCM beginning in April and stopped after 3 weeks due to the horrible cystic acne it caused. I am still attempting to heal from this disaster. Does anyone have any tips on how to recover form this nightmare? The caveman is out of the question due to how horrible my skin is at this time. On a side note, I am 43 years old and my acne was very minimal when I did OCM. I was simply trying to ditch my salycic acid wash for something more natural. I’m sure your skin will get better!!! Just give it some time. You should treat your face with love now: avoid hot and warm water (lukewarm water is best) and try not to rub and tug your skin too much. 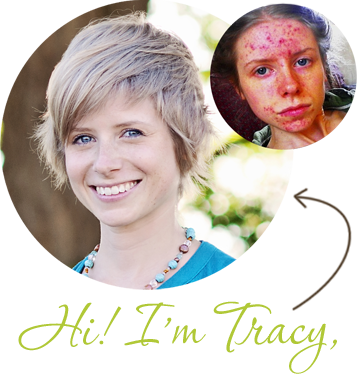 When I tried OCM, I developed exactly the same horrible cystic acne you describe. Here’s what helped me: cleansing with raw honey, leaving it on for a while (10-20 minutes once a day). After that rinse your honey mask and pat your face dry (gently!!!). Personally, I didn’t even moisturize until my skin had settled down. Apple cider vinegar helped me as well. Just mix it with 8-10 parts of mineral water, apply it on a cotton pad and gently dab your skin with it (that could be your morning routine). I used a zinc based mineral foundation to cover all pimples as good as I could (which was nearly impossible) and I took it off with just 1-2 drops of jojoba oil on a cotton pad before applying the honey. Be as gentle as you can. When I tried NOT to cover up the whole mess every single day (only in important occasions), it started to heal even more quickly. And: try to get 5-15 minutes of pure sunshine every day, depending on your skin type. The sun and vitamin D have an extremely healing and anti-inflammatory effect. However, be careful and don’t exaggerate sun exposure. I am very tempted to see a dermatologist, but REALLY don’t want to be put on antibiotics to fix it. BUT: please be as gentle as you can with it. In the beginning, one tends to underestimate the cleansing power of microfiber cloths. 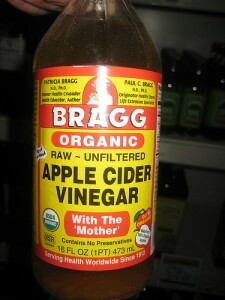 After that you could apply the apple cider vinegar mixture. It kills bacteria in a very gentle way and clears chalky deposits from your face (water). Apple cider vinegar is chemically related to glycolic acid, which is often used in skin remedies to treat acne, although it‘s much more delicate. It‘ll make your skin feel quite soft after a few applications. And yes, go and see a dermatologist. Not all of them are our enemies. And if he or she wants to put you on antibiotics, just don‘t take them. But maybe they‘ll have some good advice for you as well? But maybe you’re just doing too much? You say that you have sensitive skin. It could well be that applying all those chemicals and bleaching creams prevented your skin from healing and made your skin a lot more susceptible to sun damage (= further hyper-pigmentation marks). Please take a step back. Lemon + honey every night is too harsh for your skin. Try to apply honey on its own and let it sit a little longer, maybe for 10-30 minutes. Honey has great skin lightening properties, but it takes time for your skin to improve. There’s no over-night miracle. Anyway, the best treatment for you in the first place is staying out of the sun as much as you can and to protect your face with sunglasses, woven fabrics or a wide-brimmed hat – or some mineral sunscreen (or mineral foundation) SPF 30. You can create your own honey face wash by adding a few drops of oil (coconut, jojoba, sesame,…). This way, you’ll be able to take off your makeup or sunscreen in the evening. I have acne. I am on antibiotis and topical cream. I have rash? could be fungal? since I am on antibiotics causing this coulb be fungal rash, no one seems to understand this, mu question how do I treat naturally ACNE with out breaking dry skin? I like natural products, using chick pea flour and honey? heaving already started to take your course of antibiotics, you should continue taking them and STOP them after MAX 8 weeks. It is very important not to stop the treatment in between. Nonetheless, you should avoid to take the antibiotics for an extended period of time. You won’t want to develop resistant bacteria. Ask your doctor about it. Also, you should eat lots of fermented foods and/or take a probiotic supplement while and after taking antibiotics. If you are concerned about using the coconut oil suggested: it’s not necessary. Honey only will do the trick. You mentioned chick pea flour, but I think that it would be too drying for your skin. Hi! I am really confused about using baking soda on your face. I hear some people say it is great, and other warning people not to use it. What is the deal? the deal is that you have to try it. Everyone is different and reacts differently to different substances. If your tap water is very hard, I wouldn’t recommend using baking soda as a cleanser, since it’s pretty alkalic. If that is not the case and you want to try it, make sure to dilute it with A LOT of water as described above in the article (this way it works pretty well and is NOT irritating to your skin). Avoid these “make-a-baking-soda-and-water-paste” recipes. should i use honey mask every night? cuz i don’t wash my face with any facewash now, just with mineral water! as my skin is super oily, so honey would be good?? Also i heard that gram flour mask with lemon and rose water is good for oily skin…how many times in a week should i use these homemade remedies?? and i don’t use any mineral sunscreen either..i used all kind of good sunscreen but no sunscreen suits my skin cuz it makes my skin oily greecy looking…i used no oil sunscreens mineral sunscreens too…now i just try to block my skin from sun!! please suggest me my skin routine…and thankyou so much for your valueable time!! It’s great for your skin (at least as long as you’re not sensitive to salicylates). A mask containing lemon and rosewater might be very helpful to combat oily skin as well, but please don’t apply it more often than once a week (it’s a little too acidic for everyday use). That slimy oily look is a well-known “side effect” of sunscreens, especially the water-resistant ones. Have you tried the new Badger aloe vera based sun lotions? You could also try mineral makeup with a high SPF. How do you feel about using oatmeal (oats saturated in water) as a natural cleanser? I noticed it wasn’t on this list, yet I’ve read many times that it is good for acne-prone skin. oatmeal is great! It’s awesome for extremely sensitive skin and for soothing away all kinds of little skin issues like redness and inflammation. It contains saponins, an extremely mild cleansing agent that absorbs dirt, oil and sebaceous secretions like a sponge. At the same time, it is moisturizing and protecting (beta-glucan), it has very strong anti-oxidant and anti-inflammatory properties (phenols, vitamin e), it is antifungal and antimicrobial (avenacins) and it helps remove dead skin cells. Oops– Sorry! Posted this comment on the wrong article. I like to splash my face with the oatmeal water only for cleansing (I just let the bigger particles sink to the bottom of the bowl, but you can also fill some oatmeal into tea bags). If your skin is extremely sensitive and you want to use it as a very mild peeling or face mask, it’s best to cook it and let it cool down before applying it to the face. Does it have to be oatmeal or can you also use rolled oats? Rolled oats are fine 😉 – just let them soak a little longer. Is using oats as a facial cleanser okay, twice a day? I tried the OCM a few times this past week with olive oil – that has made my skin pretty irritated and dry? So I stopped that and tried washing my face with honey which cleansed well but didn’t do much in the way of moisturising my now dry skin. So I blitzed up some softened oats and water and have been using for the past 2 days, it’s very soothing – I just don’t want to overdo it. It won’t make me any drier right? Another great and non-expensive post-cleanser is chamomile tea. I say post-cleanser because it shouldn’t be used instead of a cleanser, but is marvelous for purifying and moisturizing naturally. I got this tip from my homeopath and it’s great: Two tea bags + two cups of lukewarm water, and then just splash it on your face when it cools down a little (but it shouldn’t be cold). Also, a question: What do you think about calendula soap as a daily cleanser? It seems to be easy to get here in Israel and not pricey, but I wonder how good it is for acne-prone, oily skin. yes, chamomile tea is an awesome post-cleanser, especially if you have oily skin. It might be a tad too drying for other skin types though. Calendula is great and soothing as well. Soap a little less. If your tap water is very calcarious, try to avoid soap at any cost. You won‘t want to have your pores clogged up by soap scum… Weleda Calendula Baby Wash could be a nice ph-balanced alternative, but I‘m not sure if you can buy it in Israel. Please, research before you put such inaccurate information on the internet. It’s irresponsible not to. hi like your artical…i don’t use any face wash or any moisturizer because of my really bad acne and oily skin…plz suggest me which home remedy can be best for my skin? I was cleansing with a mixture of organic kefir and oatmeal for 2 weeks. At first my skin felt soft and it seemed to be getting less oil during the day. However after the two weeks my skin started to get really congested on my temples and forehead. Why could this be? Would you suggest trying organic yogurt? On another note, I’ve had success with clay masks in the past. I am considering using clay as a daily cleanser. Is it too drying? No, clay is not necessarily drying. Important is that you don’t let the clay masks dry completely, that you choose the right type of clay for your skin type and that you apply the clay as a daily cleanser for a very short time only (as described above in the article). If you don’t get along with kefir as a cleanser, organic yoghurt would probably cause a similar reaction. You could try oatmeal without any other additives but water: I don’t think it’ll cause any new breakouts. Great post, very informative and helpful. I have used a lot of commercial cleansers before, proactive, clinique, and none were working, so I gave up and have been using dove for quite some time and trying to find a natural way to clean my face for quite some time. I find my acne is better, however not gone and I would like it to be. My skin is very dry, and our climate is likely a contributor to this as I live in Alberta, Canada. Altough there was great information, I find it a little overwhelming, and hard for me to know what to use on my face. I generally only wash once a day, that is at night to remove makeup and dirt from the day. I am wondering if only doing one of the things above will do everything I need? Or if i still need to do a 3 step method? I like to save time as I am very busy, so if I could remove makeup, cleanse, tone and mosturaize all at once that would be great. Would love any input and advice. the best thing for you to try would probably be just a good quality cold pressed oil. Take the one that instinctively sounds best to you: olive, almond, argan, macadamia or avocado oil are all great for dry skin (macadamia and avocado oil being even a little heavier). Just rinse your face, put a few drops of oil into the palms of your hands, apply the oil to your face, then rinse again for a few times to cleanse your face. Pat dry and you’re done 😉 ! It’ll feel different and a bit oily to begin with, but the water washes away dust and other particles while the oil dissolves sebum and clogged pores. No other products needed! I’m have very oily skin/scalp. I have blackheads, whiteheads and the occasional cyst. I’ve tried Accutane, antibiotics, Retin A, Proactiv and dozens of other OTC and prescribed meds. After 21 years of suffering, I’m desperate for a natural and affordable face wash and/or treatment that I can make at home. I would love to try some of your recipes. What do you recommend? Thank you in advance! well, honestly, I do recommend lots of physical activity prior to using any type of natural face wash or treatment. It’s the one thing that helped me most to get rid of acne. No prescribtion medicine can be that powerful. In addition to providing oxygen to your whole body and skin, a better blood circulation helps carry away waste products, including free radicals, from working cells. Studies show that the sebaceous glands, which produce oil in the skin, are also highly influenced by stress hormones. Regular vigorous and sweaty exercise has also been shown to ease stress. Adding to that a healthy whole foods diet and a gentle face wash (it doesn’t matter that much which one since hormones play a very important role in getting acne or not: facial cleansers won’t work all by themselves, unless that facial cleanser could alter your hormone levels…). Try the cleanser that appeals most to you. It’s more a matter of taste than real science. Hello there. I just finished reading your article and I have so many questions on the orris root powder. Is it safe to use on the face? I heard orris root powder contains many chemicals…. Is that true? If I use it as a facial cleanser, will it be safe? I mostly have a dry and oily t-zone area, well mainly my forehead area. The rest of my skin is normal. Also, if I use orris root powder as a toothpowder, will I see improvements with the results? 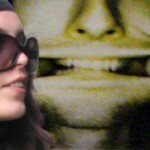 What are the benefits in terms of results for cavities, bad breath…. 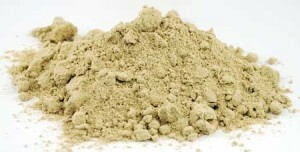 If you’ve ever tried orris root powder in your face and teeth, please reply to this comment with a depth review on orris root powder. I want to try it but I’m scared it’ll be risky…. Also, I was wondering if I should try this facial cleanser from etsy? I wanted to save money and have a product for both teeth and face, that’s why I went with the orris root powder. Will it hydrate skin? Thank you. Hello ……… Great Article ……. 🙂 I’m very interested in no. 10 – the all in one cleansing milk, moisturiser and body lotion. As I have very dry skin and as I keep suffering from Sinusitis I don’t like washing my face too often in the day. Also I always have to keep worrying whether any cream or lotion or wash I’m going to use is very cooling or not …. will I catch a cold or not ….. !!! In method no. 10 you have described the ingredients and the preparation but please can you tell how to use the mixture as a cleanser, moisturiser and body lotion. 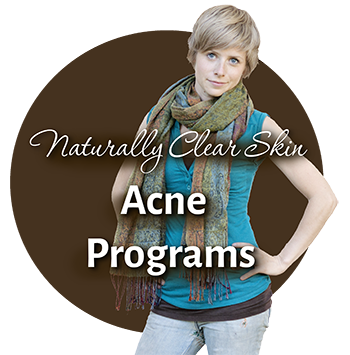 I’ve heard that washing your face with pine tar soap or African black soap are good for acne. What’s your opinion of these soaps for acne? i hv tried so many things on my acne. …i m using expensive acne creams for the past 6 years. ….i have got those foolish chemical peelings done…. but each and everything turned unhelpful. …my acne are getting worse and have started leaving scars. …and my skin is so much oily that i even don’t want to look at it ..
mam pls suggest something…..i m fed with use of these medicines. …now a days i m getting acne on my neck and chest also. 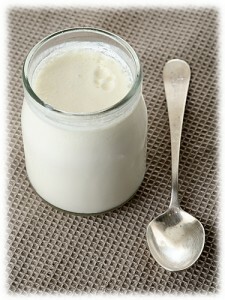 …..
Would it be acceptable to use organic soy or almond yogurt in place of milk yogurt? I do not use animal products, so i am curious if these would be acceptable alternatives. Impressive! Thank you for your great post! As a mother of two little boys it’s really important for me to find the most natural products for body care and for cleaning my household. There are many conventional products which are making damages on our skin and provoking allergies. I want to keep my family away from these products. 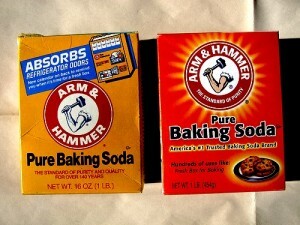 For cleaning I use baking soda and vinegar, for skin care I prefer aloe vera and cocoa oil. Great article and keep up posting! Greets! forgot to add that how i exfoliate makes a difference. my skin has started to hate aha and bha products. scrubs are too irritating for regular use, causing pimples instead of clearing up milia. brushes? see scrubs. now i’m scraping with a self fashioned tool. it’s not fancy or even expensive. but it’s working so far. besides, wrinkles will take over soon enough. please God just 10 good years with smooth skin, and then let the lines take over at an extremely slow pace! wha? i’ve had crummy skin since i was practically a little kid. i just want nice skin, is that so wrong? I am currently in the midst of changing my diet (feel as if my skin is in the “detox” stage because 2 weeks in, it’s bad. Sticking to it! Kale for days.) and *trying* to stop the over-cleansing, but it’s hard. I’m guessing this is very different from natural mud, but could it be better than say, a salicylic acid or benzoyl wash? I paid so much for it that I don’t want it to go to waste 🙁 Should I benevolently donate this wash to my sister and forget about it? i have cheese pimples in my face. i tried many products from organic to completely chemical. i havent got any results so far. I am in the verge of taking up chemical peels and laser treatments. Kindly advice me if there is any natural alternative. I’ve just discovered that covering my face with that too-ripe-to-eat avocado in the fridge works great as a face mask. Just by itself. Honey is AMAZING for all skin, keeps it clean and clear while giving the softest skin of your life. Careful with lemon, it will burn and mark you. Apply juice of half a lemon with with a TBS of honey to dress that need lightening, ONCE a week. 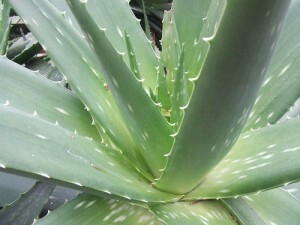 Aloe vera is a plant that is great for healthy skin and hair. and the plant is very easy to grow. Oh wow! what a cute site!! I actually think ive had the best skin when I stopped using ‘Cosmetic House’ products and just went with natural skincare. My favourite toner is Witch Hazel which you can get from the local chemist, and Neem Powder, mixed as a paste with water for a cleanser/facepack, had way clearer skin with these two products and actually no more than £5!!!! I do use Dermaroller every 4 weeks again natural rejuvenation at not much cost! So basically good skincare doesn’t have to cost an arm and a leg! The red clay mentioned for dry skin and sensitive skin, is it Moroccan red clay or Red kaolin clay?